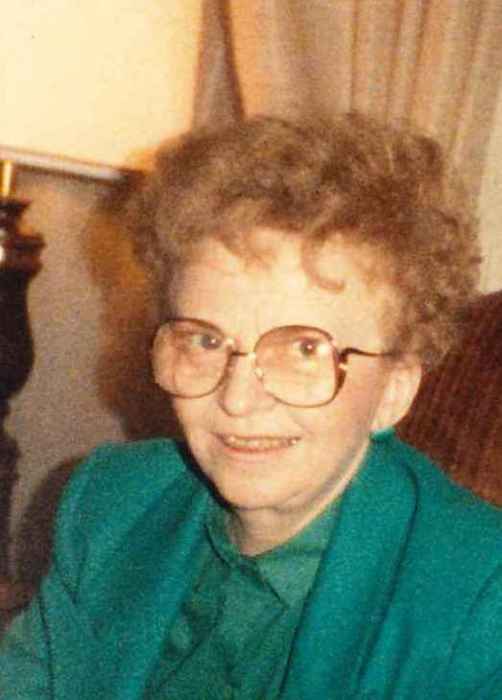 Helen Mary Klopp left this world on April 3, 2019, at the Atrium Hospice Unit. Those she loved were at her side. Helen was born on November 29, 1925, in Abrams, Wisconsin. She grew up in Abrams on a small farm with her five brothers and two sisters. Helen was the youngest of the family. When Helen turned 18, she moved to Milwaukee, Wisconsin, to find a job. She was employed as a waitress and there she met a man by the name of Fred Klopp. They were married on August 5, 1954. Helen and Fred were self-employed, buying both The New Yorker Lounge and the Hickory Way restaurant in downtown Milwaukee. In 1962 they had their only child, a daughter. Having enough of the city life, they moved to Jump River, Wisconsin where Helen became a housewife and helped with the tree farm business which Fred had begun many years before. For the last 20 years, Helen called Chetek her home. Having moved here with her daughter after her husband passed away. Before macular degeneration took her vision, Helen loved to read and do crossword puzzles. She also liked to garden, can her own vegetables, and take long leisurely walks when the weather was nice. She is survived in death by her daughter, Linda Sadowski; son-in-law, David Sadowski; grandchildren, Stephanie Haynes and Megan Bowen; and great-grandchildren, Chassity Haynes; and twins, Locklann and Leander Moe. Helen was proceeded in death by her parents, her husband, Fred Klopp; her sisters, Mary Stock and Beatrice Urlicks; and her brothers, Ken, Andy, Stanley, Frank, and Jack Stock; and her grandson, James Haynes III; and other friends and relatives. On April 13th there will be a small Celebration of Life luncheon which will be held at the home of Helen’s daughter and son-in-law at 16 River Street, Chetek, Wisconsin. A graveside service will be held at a later date.